Here’s the L’heure espagnole portion of my pre-show talk yesterday afternoon for Portland Opera. Video trailer of a very interesting double-bill from the Bavarian State Opera, Munich – Maurice Ravel’s L’Enfant et les sortilèges (which Portland Opera will be performing with the composer’s other one-acter, L’heure espagnole, next month) and Alexander Zemlinksy’s Der Zwerg (The Dwarf), written in 1922 and premiered in Cologne under the baton of Otto Klemperer. Today is Maurice Ravel’s birthday, which seemed as good a reason as any to post a few video clips of some favorite pieces. Enjoy! In preparation for next month’s production of L’heure espagnole and L’enfant et les sortilèges with the Portland Opera Studio Artists, I’ve been going through A Ravel Reader, Arbie Orenstein’s marvelous collection of correspondence, articles, and interviews. I’m just enough of a creative process geek to find all of this stuff endlessly fascinating anyway, but with Ravel there’s an added bonus because his music often half conceals what it half reveals. I’ll be posting random quotes from the book between now and the first week of April, when the two shows open; many of these will relate to the operas, while others will–I hope–provide a more general background to Ravel’s compositional art. 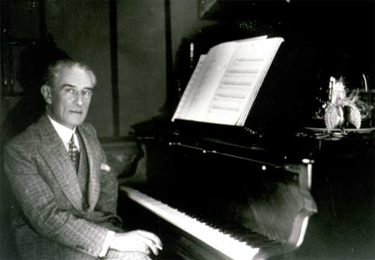 Maurice Ravel was an exponent of that careful, precise workmanship, elegance, and grace he so admired in the music of Mozart, of whom he was not an unworthy descendant. The type seems to grow rarer as this troubled century progresses. His work, however, was a monument to the dignity and precision that even now all worthy musicians should strive for and that French music has at its best always captured. Combined with an extraordinary sense of style and infallible ear was a refinement of taste and a unique inspiration that made every work he wrote right and final in its own category. All his life he shunned cheapness and facility, yet his style and manner of orchestration have already left their mark on all music, from the simplest jazz to the most elaborate works of Stravinsky. His music will always be a great glory to the art he practiced so long and so well.